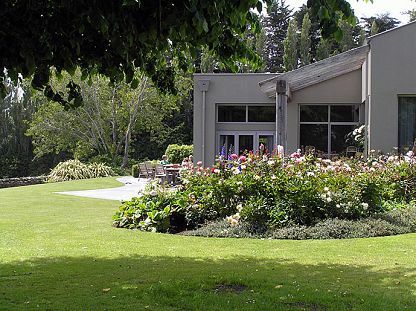 Pukerau Nursery is recognised as one of the principal growers of native plants for shelter, revegetation and landscaping in the lower South Island. The nursery has specialised in growing native plants for over 30 years, thus acquiring an extensive knowledge of “the right plant for the right place”. As a nursery we pride ourselves on growing top quality native plants that are competitively priced. The majority of our stock is grown from seed collected from throughout Southland and Otago ensuring that plants are cold-hardy and have the best opportunity to grow successfully in your area. We also bring in shelter such as Poplars and Leyland Cypress. Numbers are limited and you should start measuring up and ordering now for 2019 winter planting. Advisory - landscape consultation. Arne Cleland is undertaking some environmental design projects and can be contacted at Arne Cleland Consulting. Pukerau Nursery is able to contract-grow for large projects at competitive rates. We also stock a range of products that improve tree establishment such as Combo Tree Protectors, animal repellent and slow-release fertiliser. 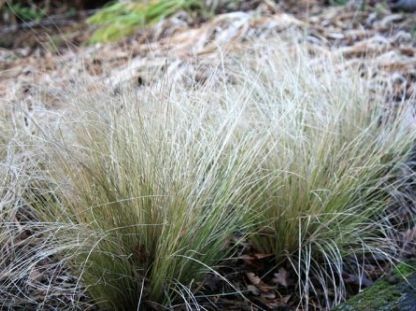 Pale green almost white coloured sedge, very attractive for garden planting. An existing rural garden is remodelled to compliment a new, modern-style homestead.